With the December movie season in full swing, we’ve just made it even faster and easier to discover movies, showtimes and theaters, all from your smartphone. 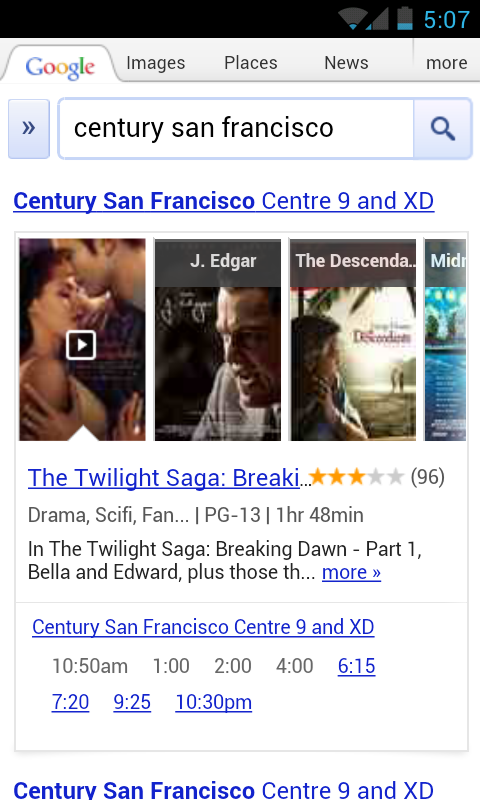 Now when you search for [movies] or your favorite theater like [century san francisco] on Google.com from your phone, you’ll see interactive results for movies in a new swipeable ribbon, with the most relevant information displayed at the top of the page. 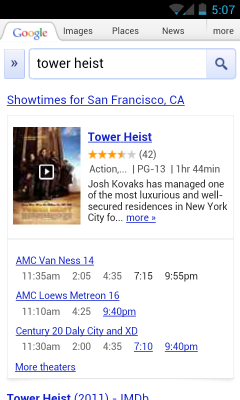 For each movie, you’ll see the movie poster, a short summary, ratings and the nearest theaters and showtimes. Designed to help you quickly browse what’s playing in theaters now, this information instantly updates as you slide through the movie posters — no need to wait for a page to load or to use the back button. 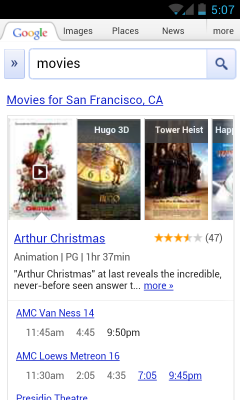 To learn more about a movie, tap the movie title to find details like the cast and a full summary. And if you see a play button on the movie poster, you can tap to view the official trailer. 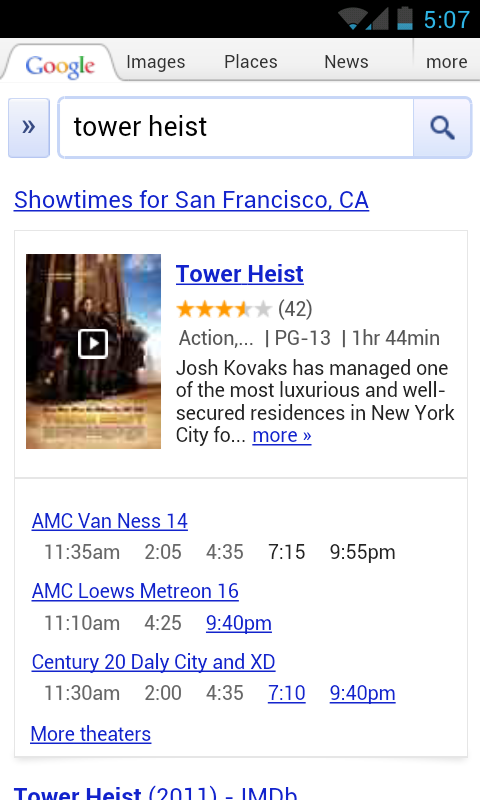 You can even buy tickets directly from your smartphone by tapping on underlined showtimes — and skip past those long holiday box office lines! 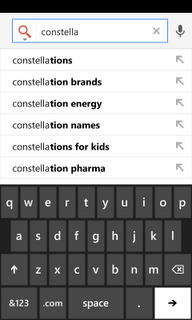 Google Autocomplete: As you type in your search, our autocomplete feature offers search predictions that often match your intended search term making search entry easier and faster. 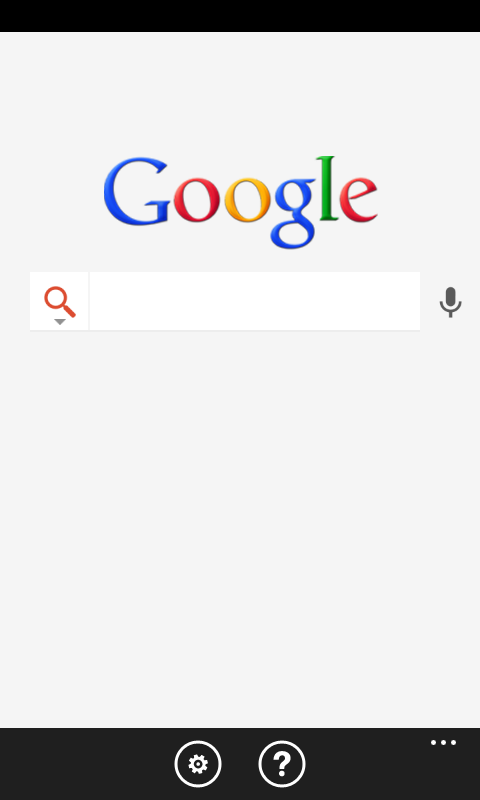 Voice Search: With our voice feature, you can avoid typing all together. Simply press the microphone and begin speaking your query. 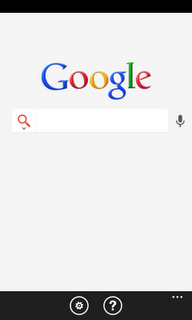 My Location: With your permission, Google can use your device location to provide nearby results easily and accurately. 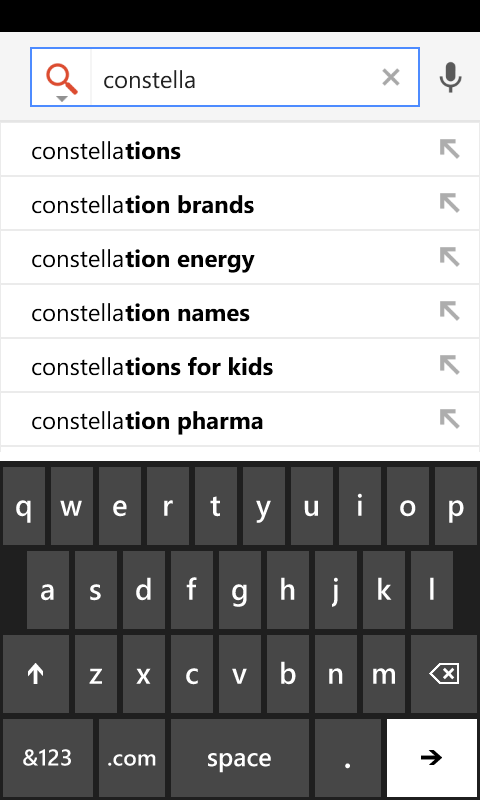 For instance, a search for “coffee shops” quickly displays the nearest places you can go to for a cup of coffee. You can download the app from the Windows Marketplace and try it for yourself. It’s available worldwide in English, Spanish, French, Italian, and German. When we initially released Android Design, by far the number one request we received was for us to release stencils as well. The fine folks on the Android User Experience team are pleased today to release some official Android Design stencils for your mockup-creating pleasure. 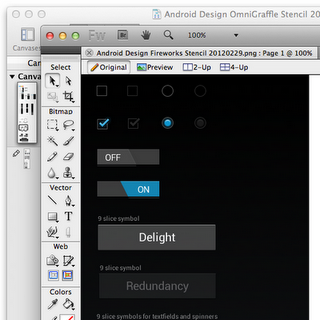 With these stencils you can now drag and drop your way to beautifully designed Ice Cream Sandwich (Android 4.0) applications, with grace and ease. The stencils feature the rich typography, colors, interactive controls, and icons found throughout Ice Cream Sandwich, along with some phone and tablet outlines to frame your meticulously crafted creations. Currently we have stencils available for those venerable interactive design powerhouses Adobe® Fireworks®, and Omni® OmniGraffle® and we may expand to other applications® in the future. The source files for the various icons and controls are also available, created in Adobe® Photoshop®, and Adobe® Illustrator®. Here are the downloads. We’ll be updating these stencils over time so, as always, please send in your feedback!